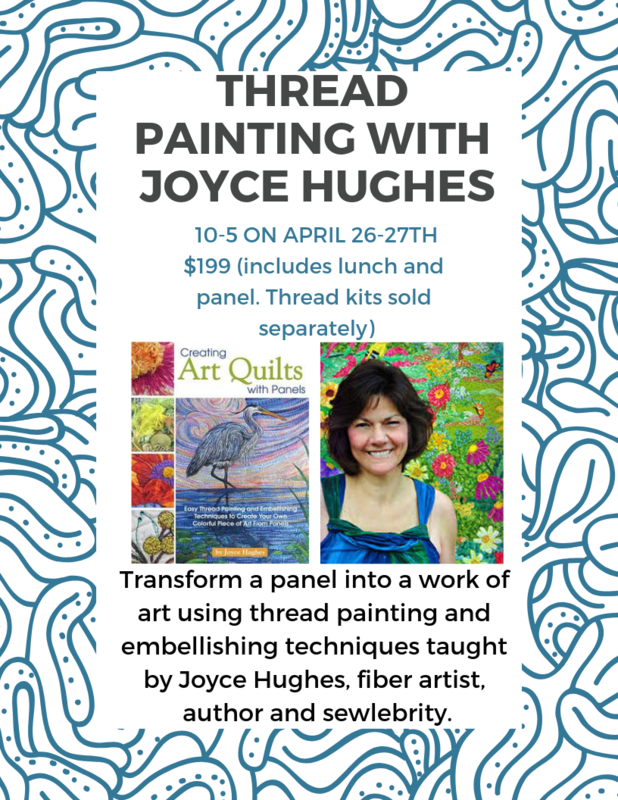 Transform a panel into a work of art using thread painting and embellishing techniques taught by Joyce Hughes, fiber artist, author and sew-lebrity. Fee includes lunch on both days and the panel we will be working on. Thread kits are sold separately.